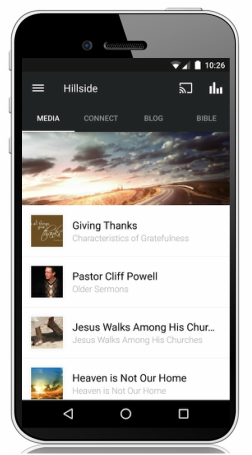 With Smart Giving by App we have Integrated the simplicity of Smart Giving into our new Hillside Bible mobile app. No separate giving App to install. Once installed, click the "more" tab and the click "GIVE". You can download our Church App on iTunes or Google Play. It's free! For more information, click here.